DuQuoin, Ill. (September 5, 1971) - A near capacity crowd of 17,500 stock car race fans sat quietly through almost 90 laps Sunday, then rose to its feet for a roaring finish in which nobody knew who the winner was. “Won won?” asked reporters who had charted the leader for each of the laps in the 100-mile race. 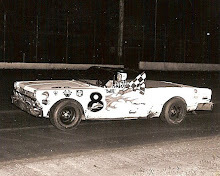 Verlin Eaker of Cedar Rapids, Iowa, driving a 1971 Plymouth, was announced as the winner even though he finished third behind Don White of Keokuk, Iowa, and Lem Blankenship, also of Keokuk. Confusion at the finish had been caused by three caution slowdowns of about five laps each on the 25th, 71st and 82nd laps. 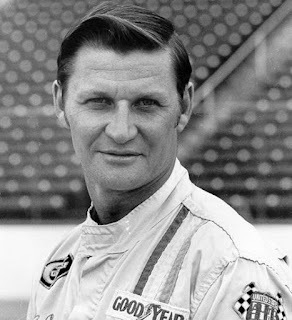 Jack Bowsher of Springfield, Ohio, driving a 1971 Ford, had led throughout the race and had pulled away more than half a lap in front. After the third caution period, both White and Blankenship again were running almost on Bowsher's tailpipe. On the 90th lap, White passed Bowsher to take the lead. Two laps later White went wide in the north turn and Bowsher and Blankenship both passed him. Hitting the north turn on the next lap, leader Bowsher blew his right rear tire and had to go to the pits. White led until Blankenship passed him on the 98th lap only to have White pass Blankenship on the north turn of the last lap. The pair streaked past the finish line but the excitement had not ended. Rich Oertel of Palatine, Ill., spun going into the south turn and Norm Nelson bumped into him for the only near-accident of the race. Neither car turned over and nobody was injured. 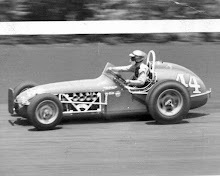 Race winner Eaker had claimed the pole position with the best qualifying time of 39.24 seconds for a speed of 91.743 mph. 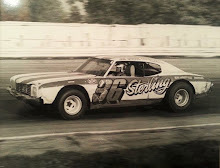 Les Snow of Bloomington, driving the Dodge of 1970 vintage, led for the first lap before Eaker regained the lead through laps two to seven. Bowsher, only the seventh fastest qualifier, was charging through the field and took the lead on the eighth lap. 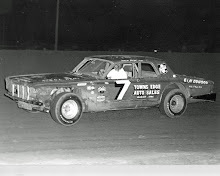 He was still on top until he made his mandatory one pit stop during the first caution period and dropped back to fourth place behind Blankenship, Butch Hartman of Zanesville, Ohio and White. Bowsher passed Hartman on the 38th lap, took White on the 39th and swept past Blankenship on the 42nd to reclaim the lead. The first caution period on the 25th lap had come after Sal Tovella and Dave Whitcombe had spun together on the east straightaway. The caution at the 72nd lap was confusing because no car was stalled on the track. Oertel had hit the rail on the inside north turn but was able to continue into the pits. Parts of his car had been jarred loose on the track, however, and the yellow caution flag was hoisted to allow workers to clear the track. The third caution on the 82nd lap came after Oertel spun and stalled on the east straightaway. That allowed the cars to bunch again for the climactic finish. Eaker was the first driver making his mandatory pit stop during the first caution period. He apparently had gained a lap on the whole field in subsequent pit stops by other drivers. Thus was the first to complete 100 miles even though he was running third at the time. 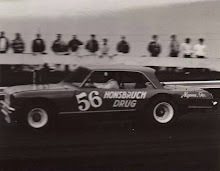 Bowsher was originally placed seventh but long after the crowd had filed out, he was dropped to 30th and last position. His crew had made an illegal tire change after the time trial. Eaker's winning time of one hour, 10 minutes and 56 seconds at a speed of 84.586 miles per hour earned him $5,821 out of the total purse of $30,642. White got $3,983 for second, Blankenship $2,757 for third. The next finishers in order were Bay Darnell, Norm Nelson, Butch Hartman, Paul Feldner, Ted Dolan, Harold Fair and Leonard Blanchard.